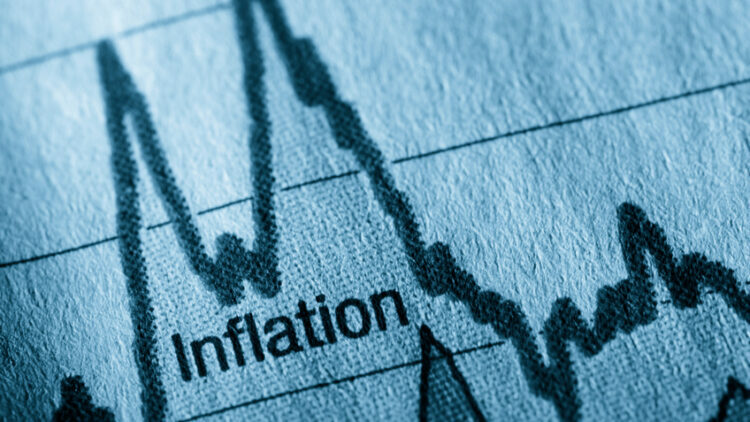 After a few years of lows, inflation is now back with a vengeance. Recent headlines in the national press are awash with reports regarding “food inflation” and the cost implications to wholesalers, retailers and the consumer. UK inflation has risen since June’s Brexit vote to the highest level for two years. However the greater risk surrounds the longer term headline Consumer Price Inflation (3% is likely in 2017). Coffee and milk, which I talk about more below, are having a more significant impact on our world. In late 2016 and throughout 2017 we expect to see combinations of market forces and currency devaluation heralding the return of inflation to the foodservice supply chain. We separate foodservice from the retailers, as they are, rather publicly, engaged in a price war and are absorbing many of the current increases. But this will be a short term strategy. Currency fluctuations become most noticeable to the public, our customers, usually through fuel prices. As expected these prices are rising as this commodity (Crude Oil) is traded in US dollars and the pound has devalued by nearly 20% (£1.22 = $1 as at today) since the Brexit vote. The pound has also devalued against the Euro by 18% (£1 = €1.11 as at today). Coffee is another commodity which is traded in dollars and is impacted just like fuel. In addition, the effect of unfavourable weather in Brazil, varying from droughts to heavy rainfall, and frosts is driving prices upwards. More than a quarter of coffee imported into the UK comes from Brazil and is traded as a commodity on the ‘world stage’. Arabica coffee beans are now presenting a year on year cost difference of 48.4% upwards. The consequence of the pound devaluation and increase in commodity price, is that we are facing a 9% coffee increase in January 2017. This is a ‘direct hit’, as the majority of sites serve freshly brewed coffee. Falling milk production, currently 7% down year on year, is also a driver. This is caused by a combination of two factors. First a reduction in the dairy herds (a deliberate tactic by farmers to drive up the price they are paid) and second, weather conditions. Cows produce less milk when not grazing on lush spring/summer pastures. This leaves milk supplies shorter for the production of butter, cheese and cream, as fulfilling liquid milk contracts takes priority. This results in ancillary product manufacturers, having to buy liquid milk on the ‘Spot Market’ which due to the overall shortage is increasing in price as demand outstrips supply. Milk is increasing in price by 5% and as a consequence so is cheddar cheese by 44%, butter by 38% and cream by 42%, taking effect Monday 17th October 2016. Potatoes and Flour are also on the up! Due to heavy rains and flooding earlier in the year in northern Europe planting was delayed by three weeks. This has resulted in crop quality yield issues. This in turn has led to a shortage of supply. The 2015 stored crops have been exhausted, which drives up demand for the 2016 crop. Although the UK crop was okay it was not a bumper crop like the year before. This saw prices drop as a consequence. The devaluation of the pound has meant exports are strong due to tight supplies in the EU, the economic principle of supply and demand applies. UK wheat prices have soared since June with prices increasing by 14% which impacts on flour products. European supply has been disrupted by poor yields in France – a major exporter with yields down circa 8%. The devaluation in the pound is enabling farmers to increase their prices while still remain competitive in the market place. This in turn has led to a surge in exports, putting further pressure on the domestic market. Exports are currently running at a 6 year high. World rapeseed stocks have fallen to a 14 year low with UK stocks down by 30% compared to 2015. This is due to reduced plantings and reduced yields due to poor spring weather conditions. This has impacted on the price of sunflower oil. Many spreads are rapeseed or sunflower oil based and manufacturers are applying increases of up to 20% (the first in 3 years). My key focus as Purchasing Director is to mitigate the impact of price increases into the business. This will only be effective up to a point. After that I will be looking for best value via alternative suppliers and working alongside the chef team reviewing recipes and finally reviewing tariffs in collaboration with our clients. Now that is another challenge all on its own! Stop press: The National Institute for Economic and Social Research (NIESR) forecast yesterday that UK inflation will quadruple to about 4% in the second half of next year. The Bank of England forecast today that UK inflation will hit 2.7% next year.